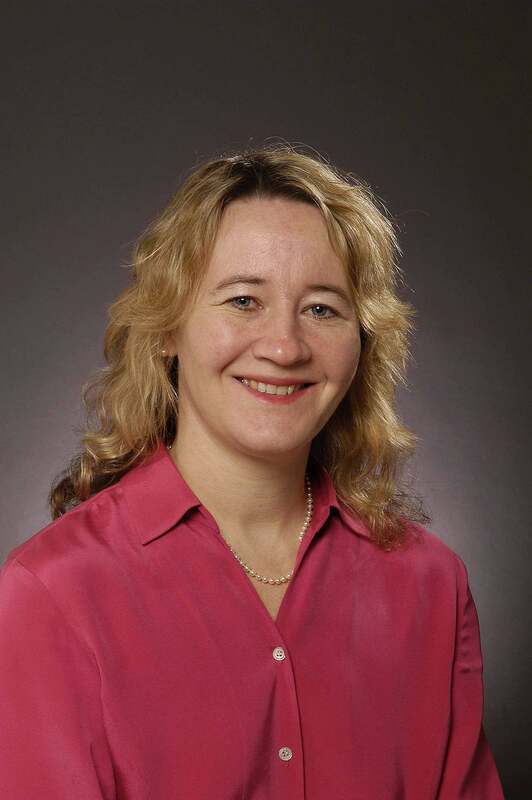 October 5, 2009- Carol Greider, Ph.D., 48, one of the world’s pioneering researchers on the structure of chromosome ends known as telomeres, today was awarded the 2009 Nobel Prize in Physiology or Medicine by the Royal Swedish Academy of Sciences. The Academy recognized her for her 1984 discovery of telomerase (ta-LAW-mer-ace), an enzyme that maintains the length and integrity of chromosome ends and is critical for the health and survival of all living cells and organisms. Greider (pronounced grEYE-der), the Daniel Nathans Professor and Director of Molecular Biology and Genetics in the Johns Hopkins Institute for Basic Biomedical Sciences, shares this year’s prize with Elizabeth Blackburn, a professor of biochemistry and biophysics at the University of California, San Francisco, and Jack Szostak, Ph.D., of Harvard Medical School, who discovered that telomeres are made up of simple, repeating blocks of DNA building blocks and that they are found in all organisms. Greider, Blackburn and Szostak shared the 2006 Albert Lasker Award for Basic Medical Research for this work. Considered the most prestigious award in the world, the Nobel Prize has been awarded for achievements in physics, chemistry, physiology or medicine, literature and peace since 1901 by the Nobel Foundation in Stockholm, Sweden. Drs. Greider, Blackburn and Szostak each will receive a medal and diploma and will share a cash award of 10 million Kroner ($1.4 million USD) at a ceremony in Stockholm on Dec. 10. "This is a wonderful moment," says Johns Hopkins University President Ron Daniels, "not only for Dr. Greider but also for all of us here at Johns Hopkins who share in her passion for discovery and her zeal for putting knowledge to work for the good of humanity. We are thrilled by this magnificent accomplishment of Carol and her colleagues and even more so by the implications of her continuing work for our understanding of such complex problems as cancer and aging. Carol has advanced scientific knowledge immeasurably, but she remains unsatisfied and wants to know more. That is the Johns Hopkins way." Each time a cell divides, its chromosomes become a little shorter. As cells age, their telomeres shorten. The consequent loss of telomere function will cause some cells to stop dividing or die and others to undergo chromosome rearrangements that can lead to cancer. While a graduate student with Blackburn, who was then a member of the faculty at UC Berkeley, Greider tracked down the enzyme telomerase. She later determined that each organism's telomerase contains an RNA component that serves as a template for the creature’s particular telomere DNA repeat sequence. In addition to providing insight into how chromosome ends are maintained, Blackburn, Greider and Szostak’s work laid the foundation for studies that have linked telomerase and telomeres to human cancer and age-related conditions. A delighted Greider thanked the Nobel Foundation for the award and emphasized that the recognition highlights the value of “discoveries driven by pure curiosity. We had no idea when we started this work that telomerase would be involved in cancer, but were simply curious about how chromosomes stayed intact. Working with a single-celled, pond-dwelling organism called Tetrahymena, Greider said these organisms – rather than primates or humans – were the best test system because Tetrahymena contain “more like 40,000 chromosomes, compared to our 23 pairs” and thus have far more chromosome ends to study. Greider graduated from the University of California, Santa Barbara, with a B.A. in biology in 1983 and earned a Ph.D. in molecular biology in 1987 from the University of California, Berkeley. She worked at Cold Spring Harbor Laboratory on Long Island, N.Y., from 1988 to1997, first as a postdoctoral fellow, then an associate investigator. She moved to Johns Hopkins in 1997. While at Cold Spring Harbor, Greider, working with Calvin Harley at McMaster University, realized that, unlike most cells in the adult human body, cancer cells contain active forms of telomerase that enable cells to keep dividing by maintaining the length of their chromosome ends. Together, in 1990, they provided early evidence that telomere length was related to cellular aging. They found that telomerase is activated in cancer cells, which allows these cells to bypass cellular senescence and continue growing as immortalized cells. The two researchers began to imagine a treatment for cancer in which the telomerase could be inhibited long enough to wipe out the telomeres in the malignant cells. This would trigger death in the cancer cells but not in normal ones with their longer telomeres. 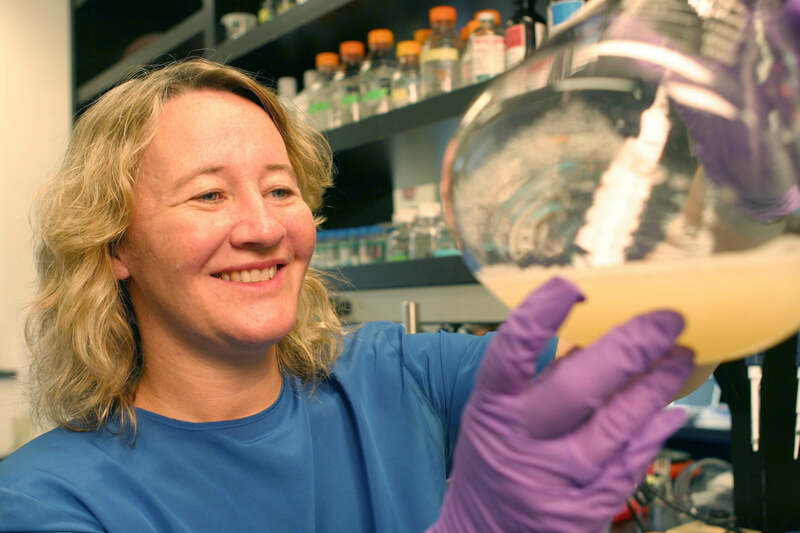 NIGMS director Jeremy M. Berg, Ph.D., adds: “Driven by curiosity, Dr. Greider and her colleagues answered fundamental questions about a basic biological process now known to be involved in cancer and cellular aging. Their work has been an important breakthrough for many fields and offers a classic example of how basic, non-disease-targeted research can illuminate our understanding of health and disease in unforeseen ways.” Prior to Berg’s appointment at NIGMS, he directed the Institute for Basic Biomedical Sciences at Johns Hopkins where he served on the faculty from 1986-2003.